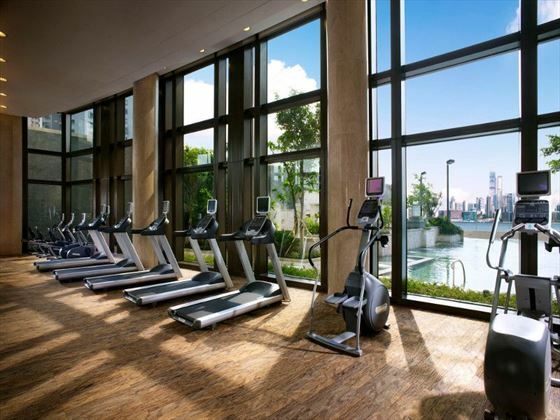 Located on Hong Kong Island, and close by to the city's more fashionable areas, Harbour Hong Kong is a sophisticated and sleek hotel that is easily inspired by the city's contemporary style. 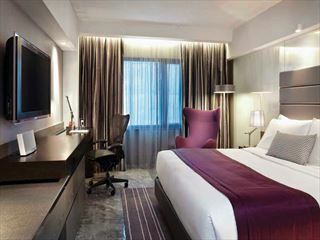 Fusing classic Oriential stylings with ultra-modern decor, the hotel is perfect for trendy travellers looking for a sophisticated stay in the city. Most of the chic rooms boast unsurpassable views of Victoria Harbour, whilst the restaurants ooze class with their phenomenal decor and equally as unforgettable cuisine. 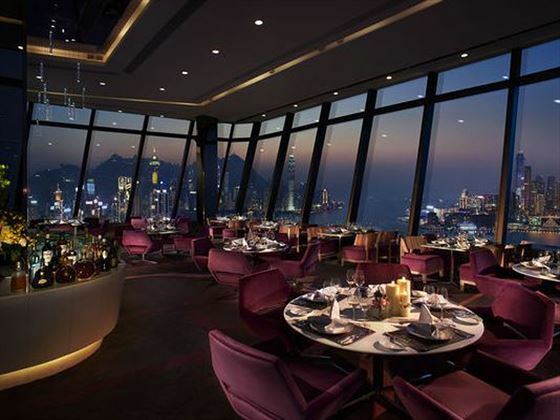 Our favourite is Le 188 Restaurant and Lounge, serving flavoursome European favourites with sensational skyline views from the floor-to-ceiling windows. 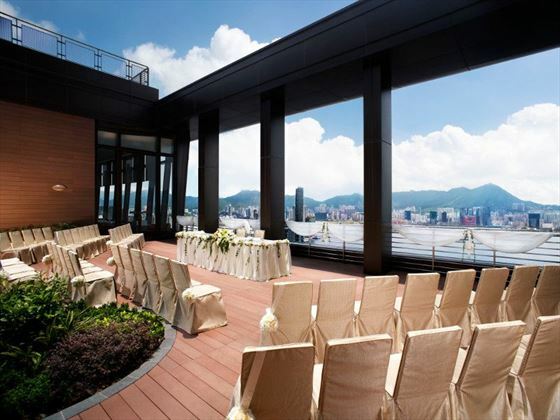 Ideally located at the heart of Hong Kong Island, this resort is blessed with amazing views over Victoria Harbour. Closeby to the fashionable shopping area of Causeway Bay, you'll be close by to some of the city's best shops, restaurants and bars. 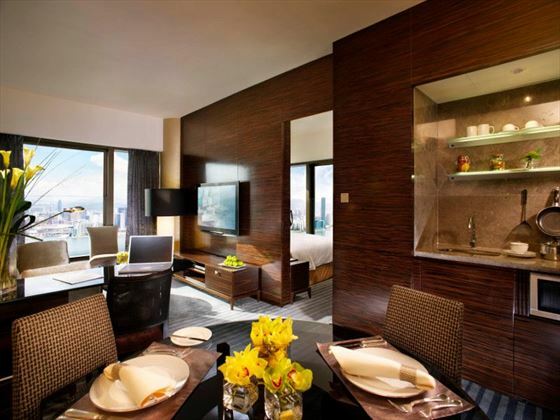 Classy 31sqm rooms adopting a modern Oriental design, offering lovely views of the eastern side of Victoria Harbour. Sleeps three adults, or two adults and one child. 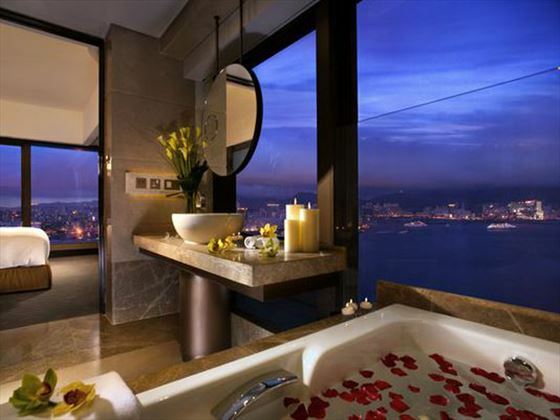 Sophisticated 31sqm rooms boasting gorgeous views of the eastern side of Victoria Harbour, as well as a luxurious marble bathroom. Sleeps three adults, or two adults and one child. These stunning 31sqm rooms overlook the Victoria Harbour and the city skyline, with decor that hints at modern and classic oriental interiors. Sleeps three adults, or two adults and one child. Spacious 60-65sqm suites located in the two corners, looking out either to the east or west of Victoria Harbour. 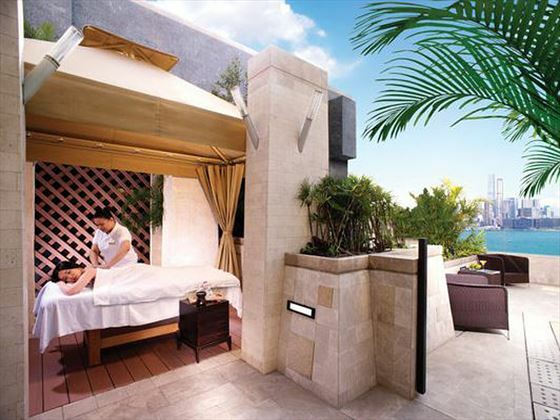 Featuring a heightened level of sumptuous living space with upgraded facilities. Sleeps three adults, or two adults and one child. These beautiful suites boast a private patio with an outdoor heated Jacuzzi, spectacular vistas of Victoria Harbour, plus contemporary decor for an ultra-stylish stay. Sleeps three adults, or two adults and one child. These breath-taking 94sqm corner suites feature two walls adorned with floor-to-ceiling windows, providing a sensational view of the city and the Kowloon peninsula. Most of these suites are also equipped with a pantry. Sleeps three adults, or two adults and one child. Incredibly elegant 55-59sqm rooms featuring sublime views of the harbour, as well as a secluded patio with a luxurious heated Jacuzzi. Sleeps three adults, or two adults and one child. 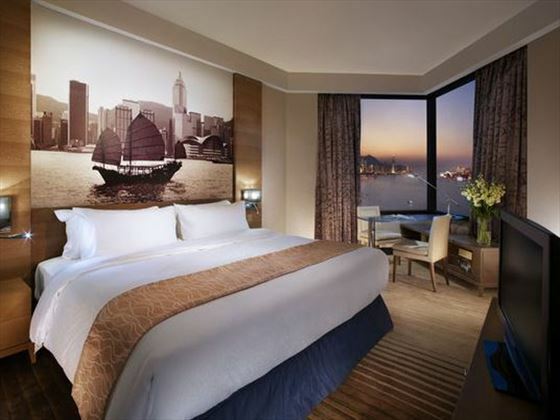 Sophisticated and beautifully-appointed, these 35sqm rooms overlook stunning views of Victoria Harbour and Tsim Sha Tsui. Sleeps up to three adults, or two adults and one child. 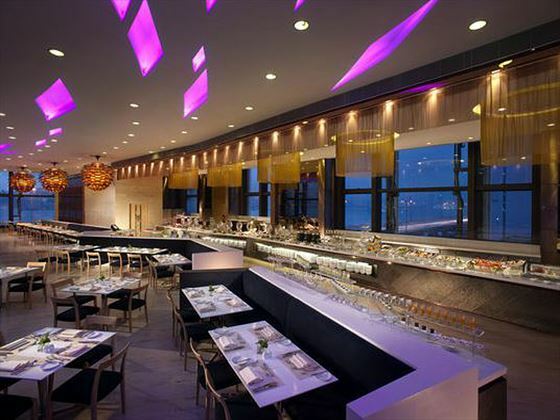 A truly stunning restaurant on the 41st floor, with floor-to-ceiling windows on three sides looking out onto Hong Kong. Serving a wide variety of flavours, including European fare, fresh seafood in the Oyster Bar, and high teas. 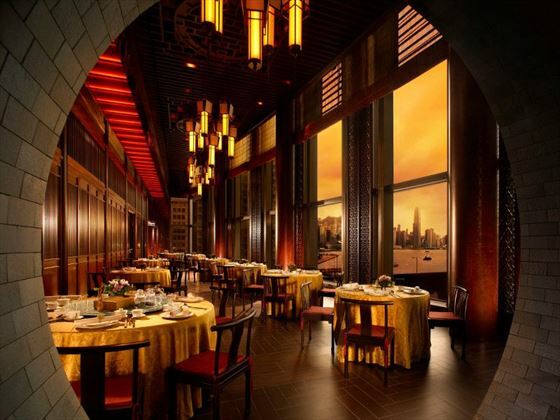 A trendy restaurant offering a taste of delicious Cantonese cuisine, all served with beautiful views of the harbour. A welcoming restaurant serving a la carte, international cuisine in a laidback setting. A relaxing space to have a pre-dinner cocktail or a snack. A classy venue offering tantalising Japanese favourites, including sushi, sashimi and tempura. Nestled beside the Victoria Harbour, Harbour Grand Kowloon is a private retreat offering luxurious accommodation and diverse dining options, complete with first-class meeting and business facilities. 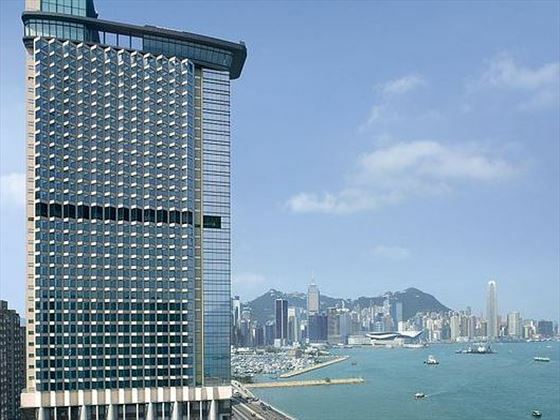 One of the finest hotels in Hong Kong and in a great location, close by to the city's shopping and entertainment district Tsim Sha Tsui East. This retreat is well-known for its hospitality. 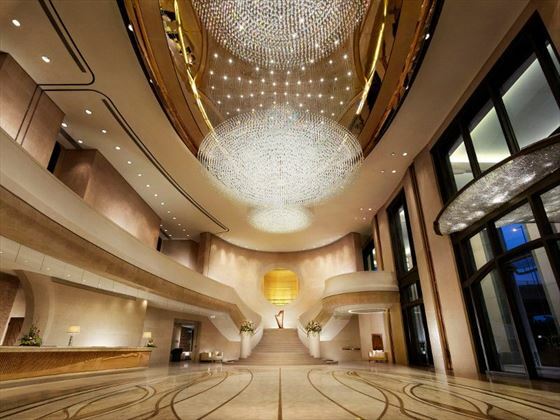 With 492 meticulously designed guestrooms, The Mira Hong Kong is an upscale, design-driven and urban retreat for the business and leisure traveller. 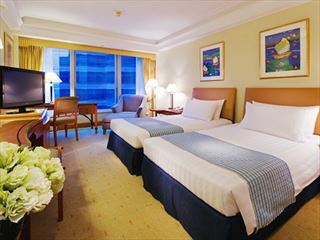 Located opposite Kowloon Park in bustling Tsim Sha Tsui, this ultra modern hotel is in a superb location.